TQ has started doing launch parties for the magazine, which I think is incredibly fun despite the fact that I haven’t managed to attend yet. However, I just got the invite for the Mountain Home 2019 party and I’m hopeful that I’ll be able to make this one! After all, I wrote SIX stories for this issue (five homes plus the Arts profile), and it’s taking place at Reno’s Nevada Museum of Art, which is an amazing venue and conveniently close by. I’m not ready for summer to be over, but apparently it is, at least in Northern Nevada where school starts back up in early August. My oldest is now on her third week of second grade while the kindergartner (after clinging to me this morning and giving me the world’s biggest guilt trip for sending her to school) is starting week two. We’ve had a great summer (two beautiful weddings in PA, lazy days on Lake Tahoe, the pool and plenty of trips to our favorite ice cream shops), but it’s kind of nice to be getting back into a routine and having at least a little free time for writing. For me, that means working on the TQ article I’ve procrastinated on for the past month. I love the topic and I’ve done the interviews and spoken with really interesting people, but for some reason I have not been able to sit down and actually put the article together. Is it perhaps a sign of my procrastination that I’m updating my blog for the first time in two months? Doubtful. On that note, I’m writing……. now! I love new magazine day! Just got my copy of TQ’s Winter 2017-18 edition in the mail. I wrote two articles, one on an area mapmaker and another on the history of Mt. Rose’s Reindeer Lodge. I loved working on them both: I really enjoyed the wooden maps designed by Joe Inabinett, and it was fascinating to learn about the old lodge, which I’ve passed by a hundred times (questioning what on earth it was every time). Huge thanks to Kim Henrick, who lived in the lodge briefly as a child in the late 1950s, for her help on the lodge’s history. 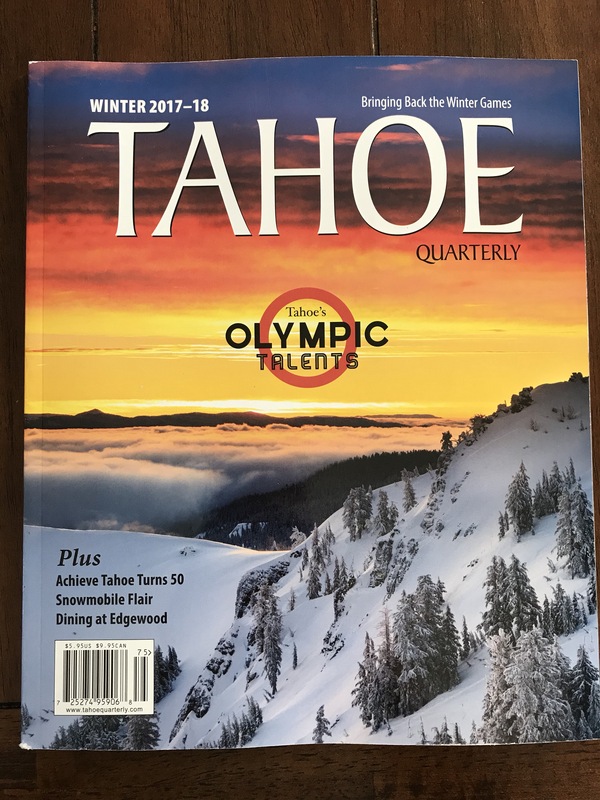 There are a lot of other fun reads, as well, including a special section delving into Tahoe’s ties to the upcoming Olympic Games in South Korea, to include a look at some of the area’s possible athletic contenders, such as Jamie Anderson, David Wise and Maddie Bowman. Grab a copy or subscribe online! Want to know the only thing better than having a baby in the office? Doubling up on cuteness and adding a puppy! 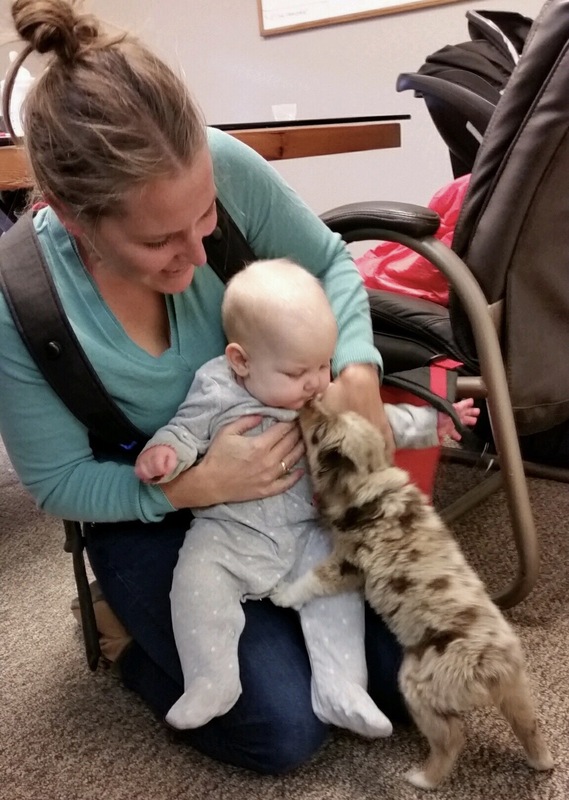 A TQ coworker brought her seven-week-old toy Australian shepherd, a ridiculously sweet ball of fluff named Rover. Rover had never seen a baby and Willa had never seen a puppy, and watching them try to figure each other out was about my favorite thing in the world (at least, until Rover tried to eat Willa and Willa tried to pull out Rover’s fur). Babies and puppies aside, the Winter issue of TQ is looking fabulous! Appropriate timing, as weather has moved in and it’s really starting to feel like winter here. Mt. Rose is even sporting a coat of snow. Anyway, final edit next week and then Winter gets shipped off and it’s time to work on Mountain Home! I have been ridiculously bad at updating. In my defense, I’ve also been ridiculously busy. Part is catching up with TQ work. We took an eight-day trip to Hawaii (yay Hawaiian air miles!) during my oldest daughter’s fall break at the beginning of October, then went back east for almost two weeks to attend my brother’s wedding one weekend, and my college roommate’s wedding the next. Suffice to say, leaving town for three-plus weeks in a month is exhausting! Lots to catch up on with work and life. The other reason I’ve been busy is this sweet little girl. My other two are a little older (7 and 5), and it’s been so long since I had a baby that I’m really enjoying this phase again. It doesn’t make it any easier to work when she’s being adorable or rolling around or trying to eat her own feet! Anyway, I’m making the most of nap times! I really enjoyed my latest pieces for TQ. 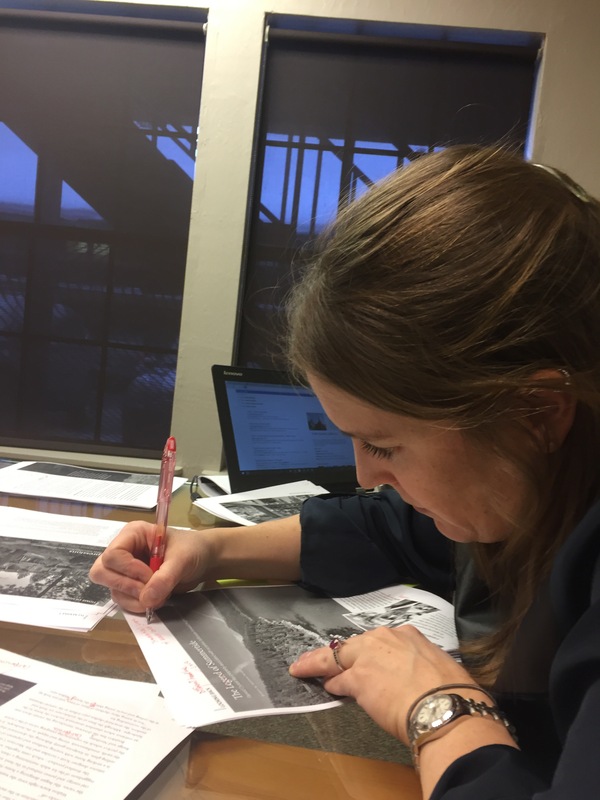 I recently interviewed an entrepreneurial area mapmaker, and in a separate piece, dived into the history of Mt. Rose’s Reindeer Lodge. I’ve been going back and forth with Kim Henrick, whose parents built the lodge in 1957, and she’s been a wealth of information, stories and memories. So fun to learn more about a place that I’ve wondered about 100 times. 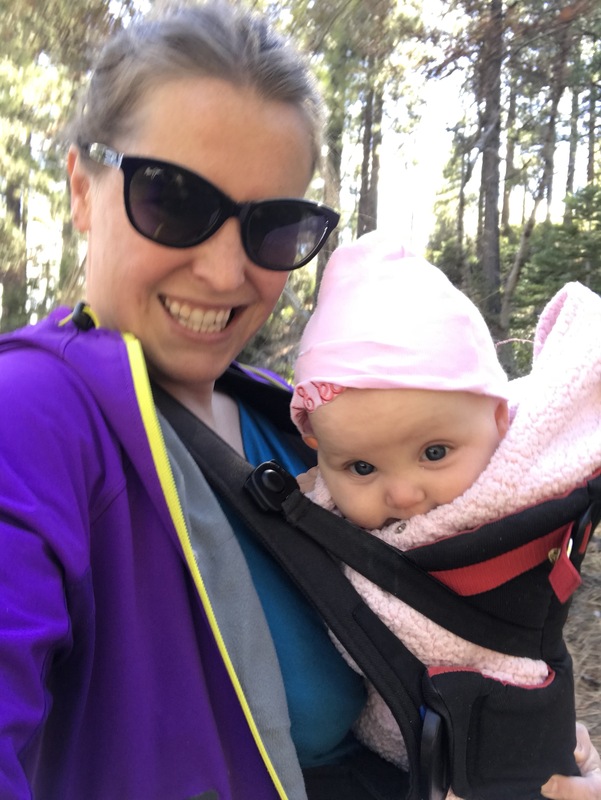 The other reality of my life lately is that I only get to sleep in short hour-long spurts thanks to a teething baby, so it’s hard to justify staying up later than about 9 p.m. So on that note, I’m off to sleep before my favorite distraction decides to get me up. Once again I’ve been a negligent blogger! In my defense, I’m 26 weeks pregnant with baby girl #3 (yay!) and I’ve been fairly swamped since the holidays. We got back from a whirlwind Christmas vacation—to see family back east, skiing and a New Year’s Eve wedding in Colorado, then on to L.A. for a day at Universal Studios and the heartbreaking Rose Bowl game—and I’ve been playing catch up ever since. School started back up for my older daughter, but we’ve been getting hammered by storms, which meant a lot of snow days and delays, which is obviously not ideal for productivity. Anyway, I managed to fit in my interviews and finished my stories for the TQ Mountain Home Awards. 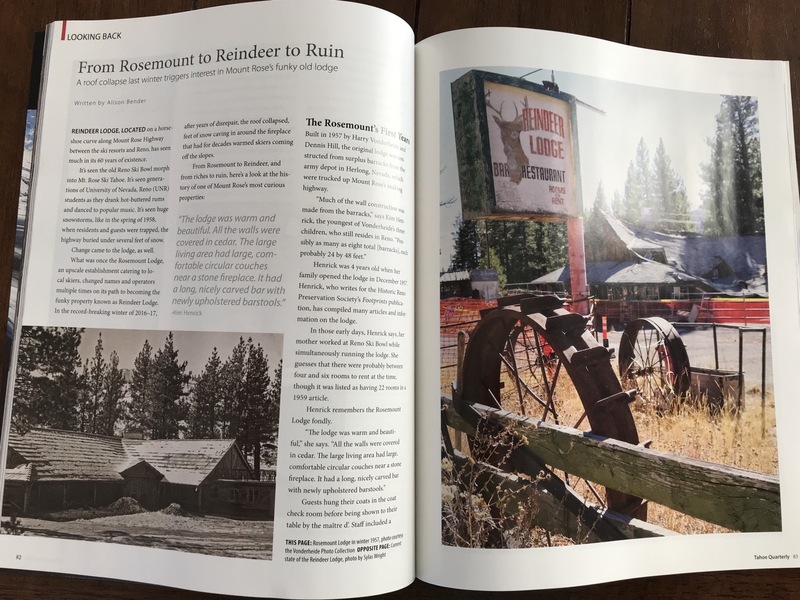 I loved the homes I wrote up—a remodel in Alpine Meadows, another along Incline Village’s shoreline, and two beautifully designed and executed homes in Martis Camp. All gorgeous, all awe-inspiring, all of which made me want to gut my own home and start fresh. Oh well. We had our first proof last week and the second proof today. A few hiccups getting a couple of stories in, but it all looks great and I’m excited to see the final issue. We were supposed to have the second proof tomorrow, but pushed it up as we’ve got another storm rolling in. At least now I’ve got a lull from work, so if this latest storm hampers my productivity, then at least it’s a valid excuse for hot chocolate and a movie date! The 2016–17 issue of TQ is on stands now! It’s a beautiful issue: a nice feature on Woodward Tahoe up by Boreal (which brought back fond memories, as I went to gymnastics camp at the Pennsylvania Woodward when I was a teenager), a great piece about Tahoe’s smaller ski resorts and a couple of tear-jerkers—one about how the North Lake Tahoe community rallied around a toddler with cancer, another about a writer who lost his four-legged best friend. I wrote about quilt designer Karen Colbert, who is based in Incline. She creates these beautiful and intricate designs out of fabric that are so much more than just quilts—they’re art. She was really interesting because she never considered herself an artist growing up. She worked in an engineering firm and later got her degree in business administration from Sierra Nevada College. It wasn’t until she was pregnant with her daughter that she took up quilting was a hobby and yet, somehow, it became her livelihood. I think it’s fascinating the different routes people take in life, and a reminder that even though you may think you know and understand the track you’re on, things can always change. Anyway, great issue, so pick one up if you’re around Tahoe or subscribe online!